So, you have your dream home, you've arranged your mortgage, and even budgeted for your dream sofa, yet still you will find yourself being caught by how much moving costs add up. When it comes to budgeting for moving costs, it is a good idea to take whatever you have budgeted for and double it, that should leave you with a rough idea of how much it will actually cost you. A lot of movers come unstuck when it comes to actually paying the costs involved in moving house, you can be fooled into thinking that once you have got your mortgage payments sorted out, that is the hard part over with, you'd be wrong. How much your moving costs will actually be, depends on how much you are paying for your property, as this can factor in when it comes to thinks such as Stamp Duty, which is a government fee for houses over the £1250,000 threshold. Your biggest moving cost will inevitably be the deposit that you have to put down on the property, once you have paid this you are over the worst. A typical deposit could vary from £5,000 to £50,000, depending on how much the property costs, and how much deposit you are expected to put down. 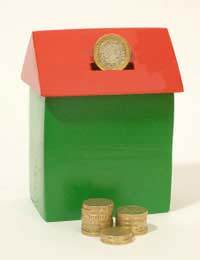 A movers second biggest cost will be Stamp Duty, if you are liable for the tax. If you are a first-time buyer, some lenders will offer to pay the Stamp Duty costs for you, be careful though, they will no doubt make up for these costs further down the line, so another part of the mortgage may be more expensive, or you may have an added on fee. On top of all of this you will also be expected to cover any estate agency and solicitor fees. A lot of mortgage offers will offer free lawyer fees or surveyor fees in order to entice you in, which is fine, as long as you aren't paying a higher rate because of it. One of the most important things that new home buyers forget to budget for is house and buildings and contents insurance. As with a lot of other insurance products it is necessary to take this out, but the cost can be spread out, so it doesn't have to be everything at once. It may also be worth going to one lawyer and getting everything done through just the one contact. When it comes to moving to a bigger property, one of the biggest costs people forget to factor is buying new furniture. Although this isn't an immediate necessity, nobody wants to move into a property that is unfurnished or doesn't have the basics, such as a cooker, so remember to account for this if you are moving in somewhere that is unfurnished. There will also be lots of other moving costs that you might not have thought about, but can end up adding up. For example, you may need to hire a van and removal men to help you move house, or if the property is standing empty for a long period of time, you may have to pay somebody to look after it for you. Moving house is never going to be something you can do on the cheap, it is expensive and time consuming, but as long as you factor all of this in, you shouldn't go wrong.